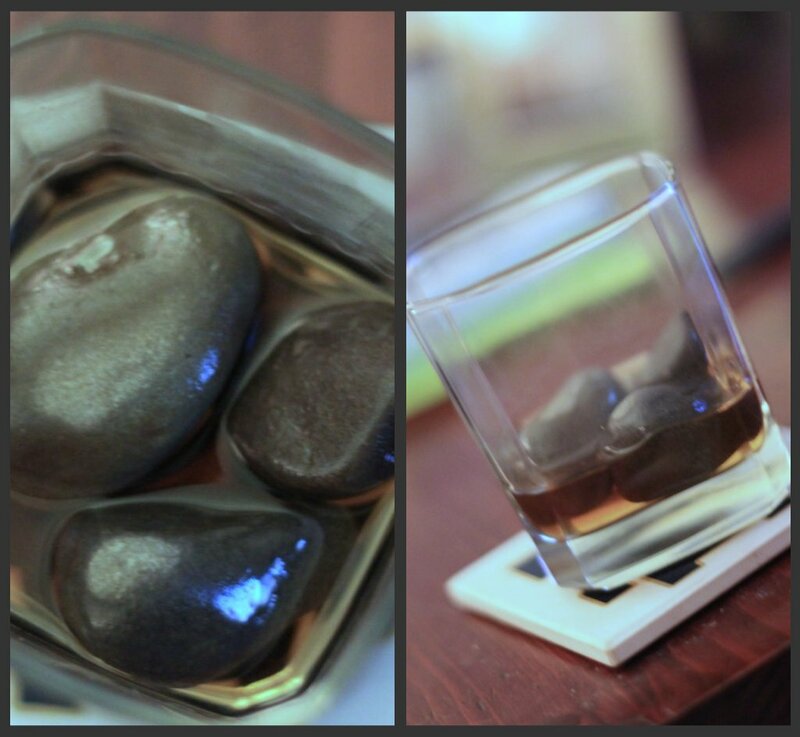 When we were in Maine this summer we saw countless stores selling these Whiskey Stones. The idea behind them is that granite rocks stay cold for a while. All you have to do is pop these bad boys in the freezer for a few hours before a party, and then in lieu of ice cubes in your whiskey you simply put one of these rocks. This prevents melting ice from deluding your cocktail, or from funky tasting water skewing the flavor of your expensive malt. They range from $30-60 per set. Yes, for rocks. My mom and her friend decided, "Hey, the rocks at the beach are free" So they found a few stones, ran them though the dishwasher and tried it out. Not too bad. So Eric was determined to find a set of his own. We now have our own set of Whiskey Rocks. Don't have us arrested for stealing nature. Please and thank you.